We love to share good news. Sometimes we are more hesitant to share struggles. So today I want to take the time to share one of our larger discouragements in ministry, though I have good news to end with. 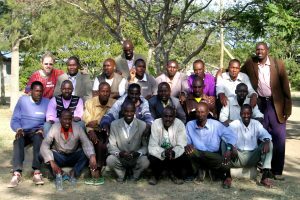 A number of years ago (before we arrived in Kenya in January 2007), CMF founded Narok Bible Training Institute (NBTI) as a venue to train elders, pastors, and other church leaders in the churches we were planting among the Maasai. NBTI died, and so we buried it. 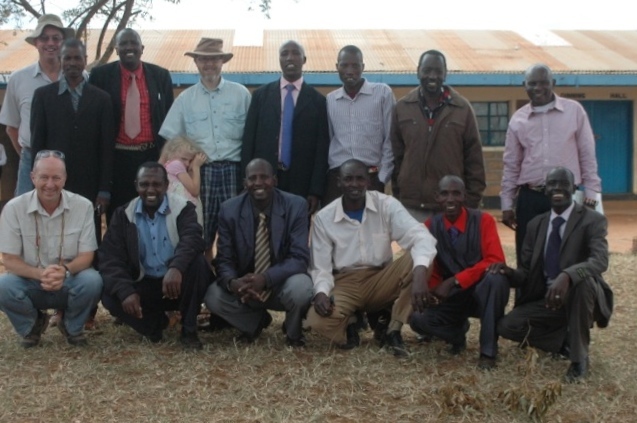 While NBTI was in its death throes — or perhaps just quietly fading away, a CMF colleague of ours was laboring with some Maasai church leaders to establish what became MIEA (Mission Institute East Africa), which had a top-notch curriculum (better than many American bible colleges) and a wonderful missions emphasis. Alas, MIEA was slain. Or, at least, mortally wounded and then left to die. All of this was as frustrating and as discouraging as you might think (none more so than for said colleague). A big part of these ministry deaths came from apathy among the CCC churches and even resistance on the part of a few church leaders. The only good news was that in the far northern deserts, TBTI (Turkana Bible Training Institute) was still going strong. Long story short (you can read some more of the details on our updated Ministries page), the resulting dearth of ministerial training opportunities for the Maasai believers began to finally be felt. Maasai churches and church leaders began to recognize the need for their church leaders, elders, pastors, and teachers to receive quality training and discipleship to equip them for their ministries. Maasai church leaders began to push CMF to help them renew a ministry of the types lost. For our part, we pretty much refused to start something new. On the other hand, we let them know that we would joyfully assist them in whatever ways possible in anything that they began. Steam began to build. In 2012, CCC church leaders sitting in a meeting with two CMF missionaries demonstrated a desire to go forward and a willingness to step forward. In that meeting, they requested that I (Joshua) should be the one to lead in helping with that task. The CCC churches formed a committee or task force and appointed me to chair it. While we were on furlough, our teammate Joe Cluff took over for me. A uniform curriculum for CCC Bible Training Institutes (just TBTI at that point) was set, the membership of the committee changed a bit, and the CCBTI (Community Christian Bible Training Institute) is in the process of being born. TBTI is the first campus. The church leaders on the steering committee of the KTC (Kajiado Training Center) in Ng’atataek contacted the CCBTI committee and asked for help to establish another branch campus, KBTI (Kajiado Bible Training Institute). The KTC committee has been meeting together with three reps from the CCBTI committee. If the Lord wills, KBTI classes will begin in January 2015. Better still: the KBTI budget is (at least on paper) self-sustaining and will not require the large financial subsidies needed by NBTI, TBTI, and MIEA. Seven of the KTC committee members have said they will be among the first KBTI students, and they are willing to pay the higher fees necessary for the KBTI budget to be met. Mourning endured but for a night (okay, it was a long night), but joy came in the morning! Pray with us that in January 2015 a new morning really will dawn for CCBTI & KBTI and, indeed, all of the CCC churches. The March 2014 NAM (“National Advisory Ministry”) meeting in Ng’ataek, which met the day after the KTC-CCBTI meeting, with some of the same participants. (I forgot to pull out my camera at the first meeting.) The other two white guys are my teammates. You’ll also note my little six year old daugher, “Naure” (she-who-is-shy, in Maa). Eliana was very happy to come to the bush with Daddy for a few days, just her. She was not shy until the camera came out. I (Joshua) had a wonderful opportunity to teach a few weeks ago (28 January – 1 February). Twenty-one pastors and elders from our churches came to our training centre at Ewaso Ng’iro. They represented 19 different communities and eight different geographical regions. I taught the Enkinosata Ororei Le Nkai curriculum that we finished just before departing for furlough on our last term. But this was also a teachers’ training course: at the end of our 35 hours together, each had been prepared to take these lessons to their home congregations, adapting them as necessary for their specific pastoral context. Before we departed, Stephen Kereto (and elder from our “home church” in Endoinyo Erinka, who learned to read through CMF’s literacy program) stood and publicly thanked us for providing teaching materials that were prepared in their own language and which addressed their own culture. In the following weeks, John Sosio and Jim Kipees (not pictured, he is my co-worker and taught one of the ten lessons) reported to me how helpful the lessons and dramas were when they taught them in their churches. So that was a most encouraging time for me. But let us give all praise and thanks and glory to God, to whom it is due. See the photo albums page for more pictures. Click here to download a PDF of our August 2008 newsletter.